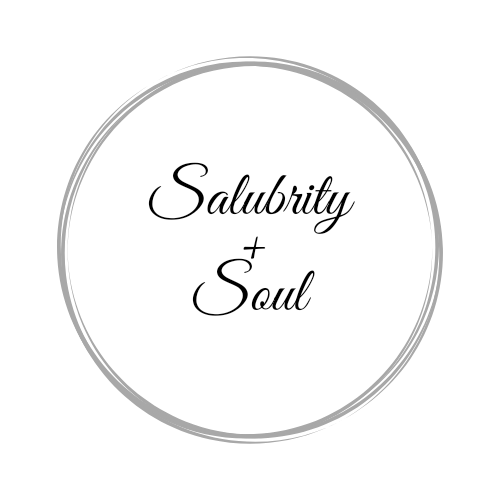 November 30, 2018 February 16, 2019 by Salubrity + SoulLeave a Comment on Just Be Thankful. As the month of November comes to an end I begin to sense the spirit of gratitude slowly fade away. The “month of gratitude” may be over, but I do not plan to stop practicing gratitude thereafter. My gratitude practice is a lifestyle. A lifestyle that makes every day of my life a magical and wonderful journey of discovery and appreciation. Even in the midst of grief and profound loss. There is so much going on in the world right now, and I have been thinking a lot about the energy surrounding our environments, and the collective effects of indisputable or obvious negativity and toxicity. The dictionary states that the word positive means: 1. Something positive. 2. the state or character of being positive; a positivity that accepts the world as it is. While it’s opposite, [the word] negativity means: 1. the expression of criticism. 2. pessimism about something, failing to see the good and concerning oneself with bad outcomes, or expressing hopelessness. The word toxicity; however, can lead one to conjure feelings of impending doom. It is a word that makes me think of something that could take over my mind and body and render me completely helpless. It is a word that signifies and embodies danger and the probability of eventual demise. One thing that has captured my attention is how, in recent times, it has become acceptable to correlate anguish and sadness with negativity and toxicity. Why have these emotions become a part of a majority opinion that imply anguish and sadness are harmful and pestilential, when they are more likely to denote the presence of a tender soul experiencing a delicate and temporary situation. Every despairing situation is not a sign of negativity or toxic behavior, and our propensity to hold that belief can be toxic and harmful in itself. If we become desensitized to recognizing pain in others we are open to losing our humanity; and if we lose our empathy we are open to no longer care about others. What connects us to others is being able to empathize with them. Is that something that we are willing to lose? It is natural for us to try to avoid pain and sadness, but is that realistic? What if those feelings and emotions are a part of your life path, your soul work, your life transformation? If it is, should that process of growth be interrupted? Wouldn’t it wonderful to watch the whole intricate process unfold, and witness the unabashed life affirming growth manifest? We are all flowers pushing our way through concrete, and lotuses growing through mud. That is the [hidden] beauty of our being. It is the growth and experience that make everything worthwhile and what gives everything meaning. Trying to navigate through rough times is by no means as negative or toxic as causing others harm, or trying to affect anyone negatively in some way – and that is the truth. “Give yourself permission to grieve gracefully. Let your healing flow.” – Carol C.M. It was a very long night. I didn’t sleep at all that night. It was 6:14 a.m. on that early August morning that I took this photo as I sat in this room staring at the white walls and these deep green seats, waiting for someone to come and tell me that I could smile again. I kept thinking about how just twelve hours beforehand, my youngest child and I were enjoying one of his favorite meals, while conversating as we got our “little nerd fix“ while watching the show Battle Bots. Ten hours beforehand we had, unbeknownst to us, said our last real goodbyes right before I reminded him to drive safely as he opened the front door to leave to meet up with friends out of town. The moment that I took this photo I had enough hope for the world. However, evidently, some plans are much greater than our own wishes, hopes, dreams, efforts and prayers. It often begins with shock. That initial feeling that sends shock waves and copious amounts of cortisol throughout your body, filling every part with enough stress to make your hands shake and your entire body quiver. Then the numbness seeps in ever so slowly. So slow, in fact, that you’re barely able to recognize that your body is being possessed by some strange form of extreme sadness; and for a minute you begin to wonder if you’re losing your mind. You’re in disbelief. Yet, you somehow know that this may not end well, so you reach deep down inside your heart and gut and pull out as much strength, courage and hope for a happy end result as you possibly can – and even so – you still don’t feel as though that effort will be enough. Now all that you feel is fear. You are still numb and outside of yourself, but the hurt that you feel is now becoming so overwhelming and all that your heart and mind are telling you is that you absolutely cannot lose this person. Suddenly, you start doubting that this is actually happening and hope that you are just having a really terrible dream. You can’t believe that this is even possible. How can it be possible? Nothing feels real at the moment. You can’t seem to stop the tears from falling from your eyes and down your cheeks. Nor can you stop the ache in your chest. You’re antsy and you want to do something to help, but you are told repeatedly that there is nothing else that you can do. That they can do. That anyone can do. That doesn’t stop you though. Each day that you return to this place you keep asking and trying to find solutions. All you know is… this hurt likes like hell. This was my experience and I cannot speak for all parents who have lost a child, but there is not doubt that when someone you love loses their life, so many feelings and emotions rush through your mind and you have to mourn the loss in order to help you process it. Mourning is essential to the healing process and there is no time frame that one can be expected to “get over” their loss. That is always personal. It is as personal as the relationship that you had with the person that you lost. This is why bereavement healing times tend to vary from person to person. Bereavement should not be rushed. So, the next time that you encounter someone who is grieving, show a little patience, kindness and be genuinely supportive because that is what is going to help that person overcome their grief in the healthiest way possible. “It’s not the pain that is the problem. Pain is a part of life. What’s more important is how we rise above our pain and learn to triumph over it.” – Carol C.M.